Curt Blake is currently the President of Spaceflight Services, and previously served as Senior Vice President and General Counsel. Mr. Blake has led efforts to expand Spaceflight Services global network of launch service providers while building relationships with key commercial-, civilian- and defense-related customers. Mr. Blake has more than 25 years of executive experience in high-growth and tech industries, with past experience including a range of senior executive and general counsel roles at Microsoft, Starwave, Corbis and Aldus. In the last three years, Mr. Blake oversaw Spaceflight Services’ first four commercial rideshare launches, on the Antares, Soyuz and Dnepr vehicles, from sales to mission management to launch. Mr. Blake is a current member of the Commercial Spaceflight Federation Board and contributor to numerous small-satellite conferences. Mr. Blake, how would you define a dedicated rideshare launch? Dedicated rideshare is a new launch alternative that lowers launch prices for organizations seeking access to space by maximizing utilization of the launch vehicle and apportioning cost based on schedule control and other service features. What should people know about dedicated rideshare vs a normal launch? Dedicated rideshare is focused on seamlessly coordinating all aspects of the launch for our customers. Much like an airline or a cruise line, we’re creating the first commercial spaceline. Airlines don’t build airplanes, cruise lines don’t build cruise ships and we don’t build rockets. What we do, and do very well, is fill empty space on scheduled launch missions or create new dedicated launch schedules, coordinate payload and launch logistics, manage operations and provide a great customer experience. When did Spaceflight identify the need for a dedicated rideshare launch? About two years ago, we saw an increase in demand from prospective large satellite rideshare customers, unwilling to risk losing their launch payments if their satellite was not ready on launch day. While these customers were willing to pay a premium for a level of customer service and control, they didn’t want the overhead or responsibility of buying their own rocket and they wanted the savings that came from including rideshare customers on their launch. It seemed like a perfect opportunity to offer rideshare as an alternative. What were customers’ initial reactions to the first dedicated rideshare? Really, really excited! The notion of having a reliable, annual ride to a sun-synch orbit is really compelling. 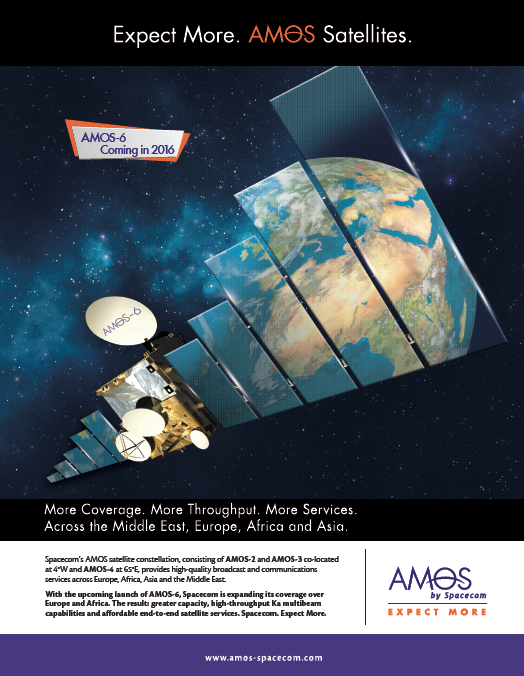 Anytime we can offer customers more options around schedule control, pricing, and increased frequency in access to space, it’s a win for the industry as a whole. Did you see an increase in interest from clients and potential clients after announcing the first dedicated rideshare? Absolutely. We continue to see high interest in this offering, customers have embraced the concept and are very interested in SSO-A, our first dedicated rideshare launch. It offers a very tangible value proposition for customers. We were even approached by GEO operators asking us about dedicated rideshare missions to geostationary transfer orbits (GTO). For example, upon announcement of our first purchase of a SpaceX Falcon 9 for a 2017 launch (SSO-A), we had pre-sold 20 satellite payload spots—nearly 70 percent of the total space available—to organizations from six different countries. Who benefits the most from dedicated rideshare? Everyone on the launch—commercial and non-commercial smallsat operators benefit from the certainty of set launch schedules, not previously available to rideshare customers. Until now, rideshare customers had no option but to wait until excess capacity became available on a launch scheduled by a primary payload. With dedicated rideshare, we incent primary, or lead, customers to synch to our launch schedule by offering them significant savings. Dedicated rideshare missions enable customers with spacecraft that range in mass from five to 2500 kg to create long-range mission plans to sun-synch and GTO with more dependable launch dates. In addition, U.S. government customers benefit from predictable, available U.S. launches, and launch vehicle manufacturers benefit as well. We will be buying more vehicles in the near future as customer awareness and demand for space access builds. Any commercial or government entity that needs more control over their launch schedule and wants to save a significant amount on the cost of their launch. Thankfully for us, there are many organizations that fit that description. One co-lead on our Falcon 9 mission (SSO-A) is SpaceIL, the Israeli Google X Prize contestant. As a non-profit customer, they were very cost conscious. 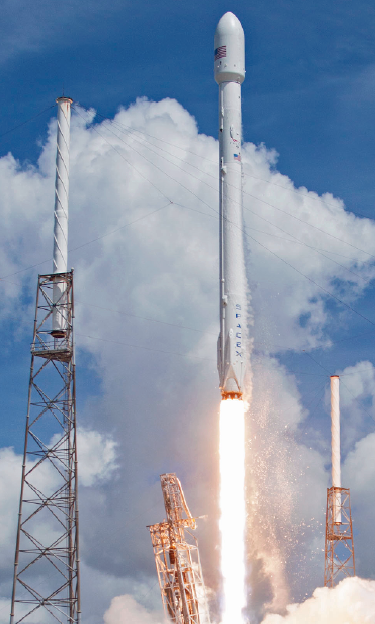 They needed to reserve as much money as possible to plan and execute a moon-landing mission and we were able to provide them an affordable launch that met their financial and schedule control needs. Why might a “lead customer” choose rideshare over traditional sole payload missions? Lead customers pay for schedule control and other accoutrements of a traditional “primary” customer, but see their price reduced by including rideshare customers on the launch. Likewise, the traditional rideshare customers pay less because our lead customers pay a disproportionate amount of the entire launch vehicle cost because they retain schedule control. Are there specific payloads that don’t work well in rideshare situations? There is a very small increase in mission risk when more than one spacecraft is launched and deployed on a single mission. For instance, although lead spacecraft are deployed first, if the price reduction for the lead is not enough to make dedicated rideshare attractive, they should purchase their own launch vehicle. An example might be an expensive USG Mars lander or a critical Defense Department satellite. If there are lives or billions of dollars at risk, and the customer has the resources to buy their own launch vehicle, they may want to go that route. However, that’s not a common situation. Are there any limitations to dedicated rideshare? Yes, there are. We think of dedicated rideshare missions as buses and sole payload missions as taxis. Dedicated rideshares, like buses, are best used to reach popular destinations. If a spacecraft needs to reach an uncommon destination or it absolutely must be at a popular destination at a specific time, it is best served by a taxi. In addition, there is a very small increase in mission risk when more than one spacecraft is launched and deployed in a single mission. Do you imagine that other companies will begin to offer this as a service? Others may want to offer dedicated rideshare, but it is not an easy service to provide. The contracting and logistics involved in purchasing a launch vehicle and coordinating 15-20 customers onto one launch is not for the faint of heart. How do you feel dedicated rideshare will evolve over the next 10 to 20 years? Please be as specific as possible. Dedicated rideshare will become routine because of the increasing need for small satellites to have affordable, dependable launch service options that provide consistent and frequent access to space. By extending this model to mid-size and large satellites, giving them more schedule control and service absent the enormous cost of buying a private launch vehicle, we provide a compelling service. While dedicated rideshare missions currently only serve the sun-synchronous low Earth orbit and GTO launch markets, we will offer different orbits as new vehicles come online and customer demand increases. Launch providers want to concentrate on the launch vehicle itself; coordinating multiple customers on a launch is something they don’t want to focus on. Do you think it has the potential to become the norm in the next 30 years? 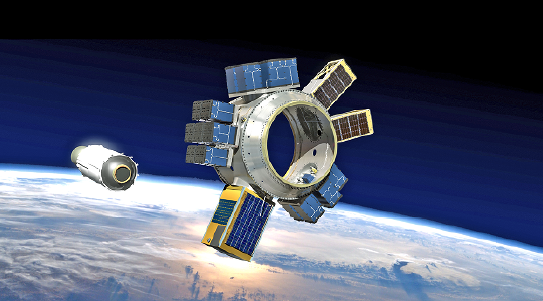 Will launches dedicated to one payload disappear? 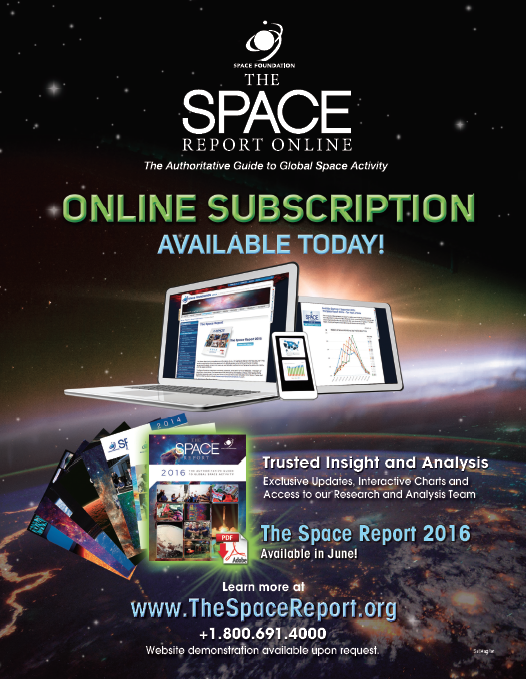 For 99 percent of the organizations seeking access to space, price is an issue. But as spacecraft size, and consequently, cost of launch goes up, having some say on launch timing becomes more important. Being able to offer both routine access and an affordable price point is critical in making space accessible for more organizations. What is the most challenging aspect of dedicated rideshare launches? Like any launch, it’s getting the payloads delivered and integrated on schedule. In the event there are co-leads, the allocation of rights between the parties can also be challenging. We’ve launched 81 satellites to date and have more than 135 satellites to deploy through 2018. The frequency of satellite launches, combined with Spaceflight’s cross-section of customers and variety of mission-applications, is a strong indicator of the growing capabilities of small satellites and the need for more timely and cost-effective access to space. What are the biggest risks and benefits? The main risk is ensuring that everything comes together at the same time; as they say, space is hard and ensuring licensing, testing, integration, deployment, and communications all come together for numerous customers is a logistical challenge. Everyone focuses on the launch, which is of course critical, but there’s so much more involved, from the coordination of the spacecraft to be deployed, to the engineering of the payload stack. The big benefits for customers and the industry alike are more frequent, routine access to space at a cost-effective rate. Would you please walk us through the process of scheduling a rideshare, preferably from the client and the launch scheduling/coordinating side? The process starts with a client request for a certain schedule for a particular payload size. From there, it’s really a matchmaking exercise. If the client is a lead or co-lead candidate, we review our database for other clients that have expressed a desire to reach a similar orbit within the same time frame. For non-lead rideshare customers, we review our available missions, dedicated rideshare or not, in addition to other missions we know are out there. We then screen for what launch vehicles are available to an individual customer and evaluate their options. For example, some U.S. customers can only launch on U.S. vehicles. From the customers’ viewpoint we strive to make the process relatively seamless. We always keep in mind that customers just want to get their satellite on orbit at an affordable price and at a set time. We try to respond to client queries within one business day to let them know we are working on their request. If they use our website there is a form to fill out giving us the information we need to start this process, if they call we collect the data and usually provide them with launch options within a week. How and when do the initial conversations with clients start? When do they need to deliver their payload and how long does it take Spaceflight to integrate it into the launch? Customers typically contact us via website, email or a call, providing information about their spacecraft, launch vehicle preferences, restrictions they might face, orbital requirements and preferred launch window. The timing of the launch integration process depends a lot on the launch service provider. Some require longer lead times than others, if the launch is from a foreign country we need to build in time for shipping, customs clearance, etc. How long does Spaceflight need to schedule the launch? Do you drive the satellites to the launch site and what is your job once on site, and so on. That varies by situation. We like to have approximately two years from signing to a launch for dedicated missions, depending on the spacecraft involved and its status. For non-dedicated missions we have coordinated rideshare for customers in as little as three months, but that’s a tight deadline. We deliver the integrated payload stack, with the spacecraft attached, to the launch site. In some cases we have to integrate a spacecraft at the launch site, but we get charged for that, so it increases the cost. Once at the launch site we perform a series of tests on the integrated payload stack to be sure it will operate correctly. We also conduct tests to be sure the spacecraft are operating normally. Then the launch service provider integrates the stack to the launch vehicle. Beyond the integration services and tactical aspects of integrating a launch, one of our biggest differentiators is our attention to full-service mission management. We oversee the entire launch process, taking the guesswork out of the experience for our customers. We work hard to be sure that when the customer signs, they know what the launch process will be like; what deliverables will need be provided and when, the important milestones, when their licenses are expected to be complete, when the spacecraft is to be delivered, etc. We aim to eliminate any surprises. This level of service allows us to maintain long-standing relationships with our customers. 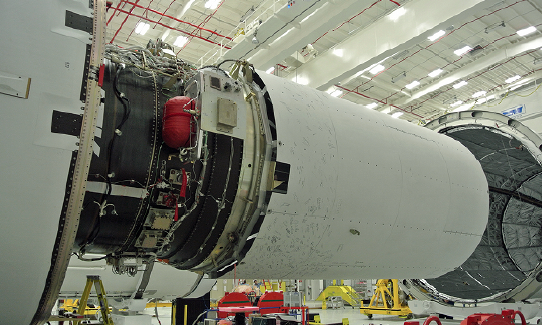 Spaceflight is the only one-stop spaceliner in the industry. As a client-service company we take care of everything from systems integration to spacecraft deployment, including guidance on trickier aspects, such as International Traffic in Arms Regulations (ITAR), Interface Control Document development and government licensing. 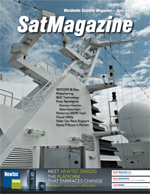 Customer don’t have to be a launch expert; that’s our job, we let them focus on their satellites and business.